The choice of landscaping for your swimming pool area can either make or break the overall look. Carefully selected statement trees and plants can create that wow factor for your swimming pool. 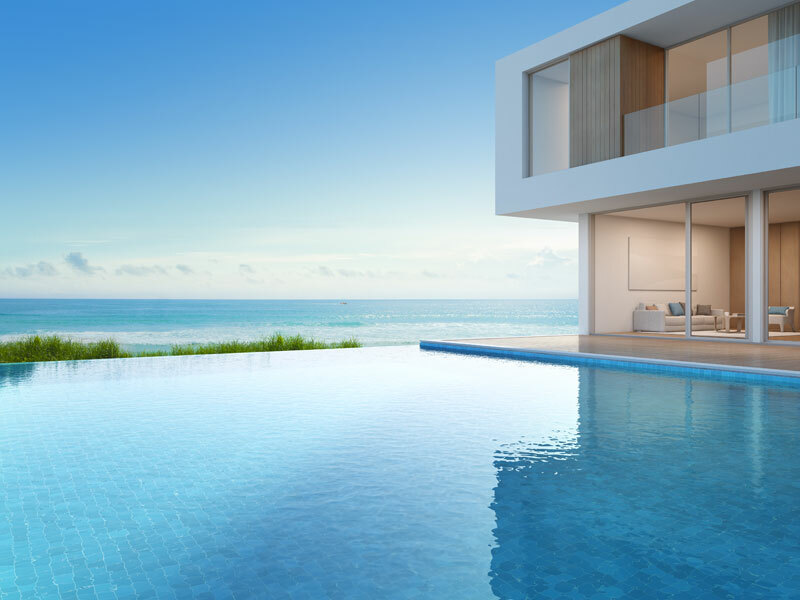 Minimalism and simplicity continues to be trending in landscaping and will ensure your swimming pool takes centre stage. According to the experts, lavish gardens with an assortment of trees, plants and foliage are out and subtle garden designs are in. Blue Haven Pools’ Managing Director Remonda Martinez says many clients are taking a “less is more” approach to swimming pool landscaping. “Some of the most effective swimming pool landscaping has incorporated the use of just one or two types of plants or trees,” Ms Martinez said. “Durable, sculptural foliage such as Dragon Trees are popular whether planted or in statement pots. Monochrome and single colour gardens are also on trend, providing a subtle backdrop to the swimming pool and entertaining area. Plants in pots are trending right now. Not necessarily in the form of a fern or two in a plastic planter box. Think glamourous oversized statement pots in sleek white or grey housing an amazing Dragon Tree with white pebbles to complete the look. Monochrome coloured hedges in grey, white and deep greens provide a simple yet modern backdrop and can be planted to create a boundary with clean lines and create a minimalist inspired look. Local native plants such as westringias are surging in popularity. Aim for quality over quantity. One luxurious, established statement tree will create more of a visual impact than 20 haphazardly placed plants that would cost the same price. Lighting is key though for a minimalist garden to have a big impact.